Catalogue > Cities: maps and sights of cities and villages > 5. Utrecht > IJSSELSTEIN. 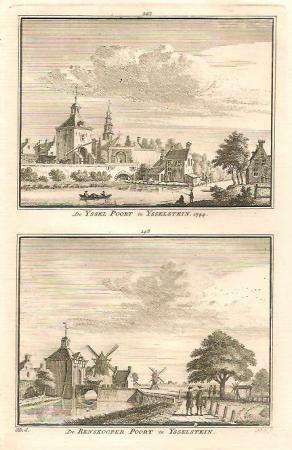 IJsselpoort en Benskoperpoort. "De YSSEL POORT te USSELSTEIN. 1744. / De BENSKOOPER POORT te YSSELSTEIN."